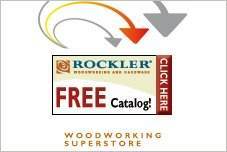 Free clock plans including mantel clocks, workshop clock, wall clocks and more. Using your scroll saw you can make a snail that sits on the phrase "Haste Makes Waste" for a unique clock. 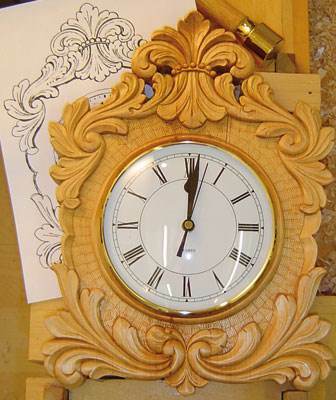 Use this tutorial to make a beautiful clock that mimics the designs of Johan Amrud a Norwegian master carver. With this plan plus a little money and time you can make Batman clock for a child's room or your own bat-cave. 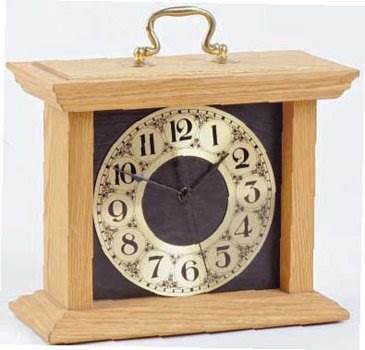 This step by step plan turns wooden molding that has been cut and trimmed into an attractive mantel clock. 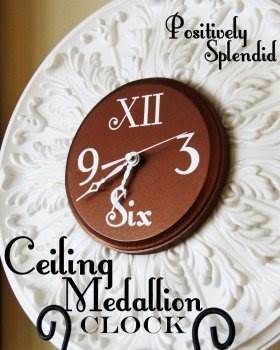 Create this beautiful clock for your home with a ceiling medallion, a wooden plaque and clock mechanism. 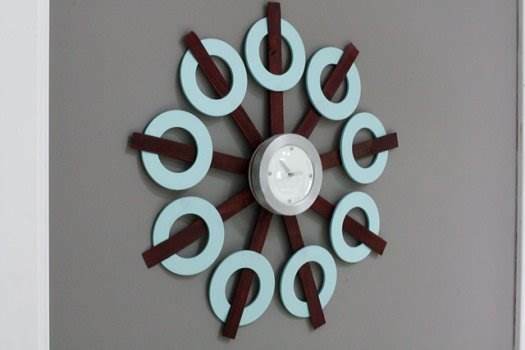 This plan uses pieces from a thrift store to make a cool looking retro inspired wall clock for very little money. 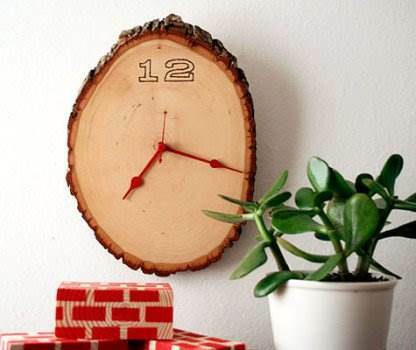 Just by painting a square piece of plywood then adding painted on roman numerals you can add time to your homes decor. 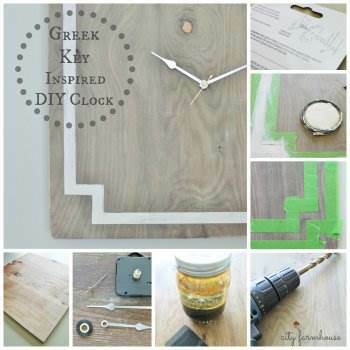 It only takes a small amount of time and money to make this lovely wall clock using these detailed instructions. 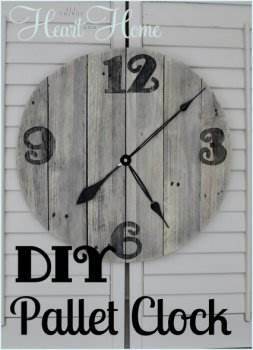 Draw a circle on an old pallet and cut it out to start making a handsome clock in the size that best suits your decor. 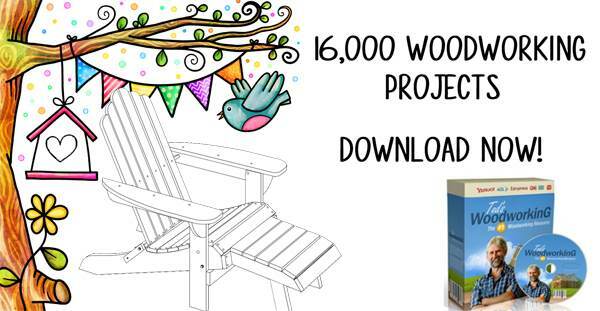 Create a clock that looks like it came straight from a tree trunk using this plan with illustrative pictures. Glue together a bunch of coffee stir-sticks to create this amazing sunburst clock that can be left raw or painted.